"Her ability to gracefully shrug off such blatant condescension is truly amazing, one might even say Oscar-worthy," one person wrote. A moderator asked Michelle Pfeiffer about her weight during the filming of Scarface at a Tribeca Film Festival panel Thursday night, and was immediately met with groans from many in the audience. The cast reunited at the festival for the 35th anniversary of the film's release. 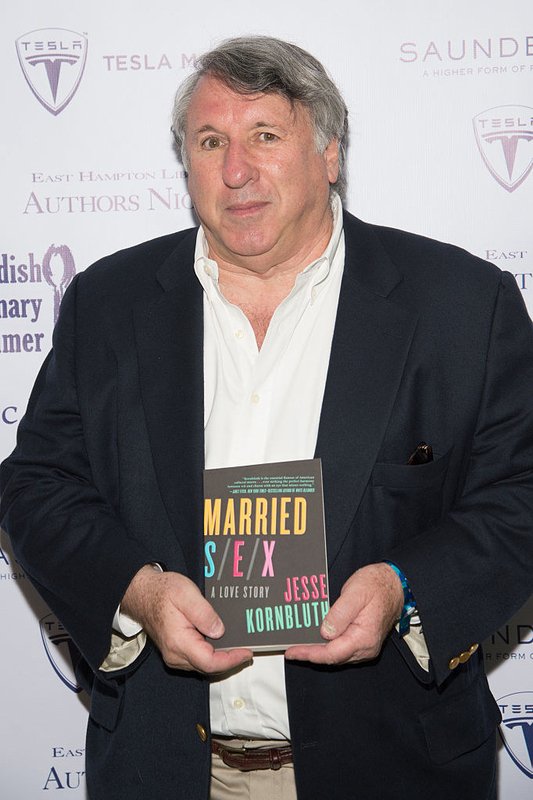 "As the father of a daughter, I'm concerned about body image," the moderator, writer Jesse Kornbluth, began during the panel, "The preparation for this film — what did you weigh?" As the question was being set up by Kornbluth, you could hear people in the audience beginning to show their disapproval of the ask. "No no no, this is not the question you think it is," Kornbluth said, attempting to quell the groans. At one point someone yelled, "Why do we need to know?" "Well, OK. I don't know," Pfeiffer said. "But I was playing a cocaine addict." In the video, Kornbluth said this was the point he was trying to get across. "That was part of the physicality of the part which you have to consider," Pfeiffer said. She added the film shoot lasted longer than expected. This meant her character became even more emaciated, as she was on a limited diet to stay true to the role. When reached for comment, Kornbluth told BuzzFeed News, "Nobody booed when I asked Michelle about playing that familiar female character — what she has described as 'the set piece' — and how she was able to, as she has described, 'own and claim' her performance against one of Al [Pacino's] fiercest performances." "Nobody booed when I asked Michelle if she could imagine a remake in which Tony Montana was Toni Montana — a woman. Nobody booed when I asked Brian [De Palma] if he were making this movie now, Tony would be a Russian — or Mark Zuckerberg. Nobody booed when I quoted Tony — 'Who put this thing together? Me! Who do I trust? Me!' — and asked: Who does that sound like? Kornhbluth told Indiewire recently that the response to his question was due to "the knee-jerk political correctness of our time." Additional footage of the moment was provided by Matthew Eng, a writer and editor for Tribeca. People tweeted their annoyance with Kornbluth's question by providing other things he could've asked. Questions Michelle Pfeiffer could have been asked instead of the one about her weight: Anything else, literally And: Why is the COOL RIDER sequence from GREASE 2 the greatest three minutes in cinematic history? Some joked about how the situation would differ if the roles were reversed, like with a famous male actor and a woman moderator. And highlights from the night seem to point to a trend that Pfeiffer was asked questions that felt inherently gendered in a specific way. Others caught Pfeiffer's perplexed face the moment she was put on the spot. And overall, it seems the audience was on the same wavelength. BuzzFeed News has reached out to Pfeiffer, as well as Tribeca, for comment.